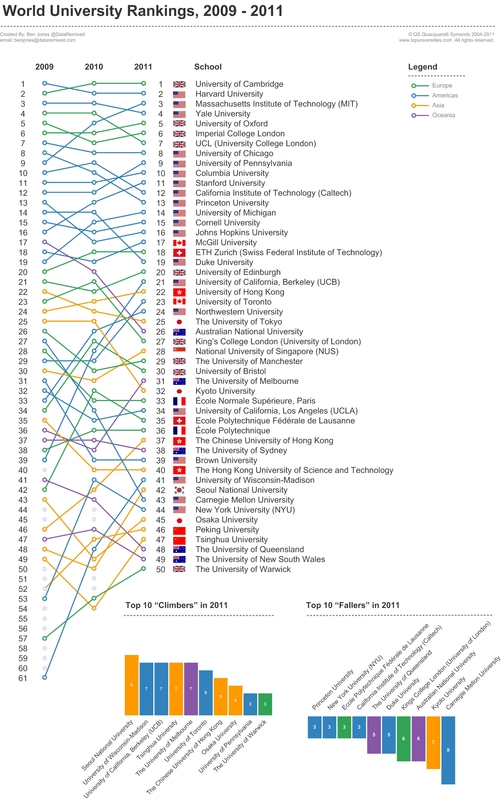 Each year the world’s top universities are ranked by Quacquarelli Symonds. The most recent rankings were just released, and a comparison of the past 3 years of rankings shows how the elite schools compare. At a glance, the UK owns the top overall spot once again (Cambridge), and 4 of the top 7 slots overall. The U.S. owns everything else in the top 16. © QS Quacquarelli Symonds 2004-2011www.topuniversities.com .All rights reserved.